Stock status is current as of 4/25/2019 10:29 AMET. 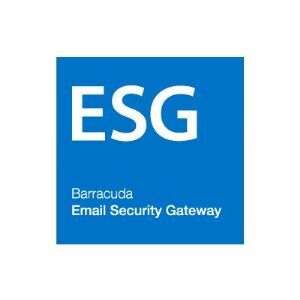 The Barracuda Email Security Gateway is compatible with all email servers and can fit into nearly any corporate or small business environment. It is used by small organizations with as few as 10 employees and large organizations with as many as 200,000 employees. A single Barracuda Spam & Virus Firewall handles up to 100,000 active email users. Multiple units can be clustered together for even greater capacity and high availability. The Barracuda Email Security Gateway architecture optimizes the processing of each email to maximize performance and process millions of messages per day. Unlike software solutions, the Barracuda Email Security Gateway reduces the load placed on the email server by offloading both spam and virus filtering. All Barracuda Email Security Gateway models include comprehensive outbound filtering techniques including attachment scanning, virus filtering, rate controls and encryption. These features help organizations to ensure that all outgoing email is legitimate and virus-free. In addition, Barracuda Email Security Gateway includes email encryption using a cloud-based portal and data loss prevention features like attachment content scanning.